Fibre is an essential part of our diet. It helps us in so many ways such as keeping us full, stabilising our blood sugar and keeping us regular. Due to our fast-paced life-style, and the abundance of processed foods available to us, we often do not consume the amount of fibre our body needs. Here are 5 reasons why it is so important to include fibre in our diet and, of course, some tips on how to easily do it! 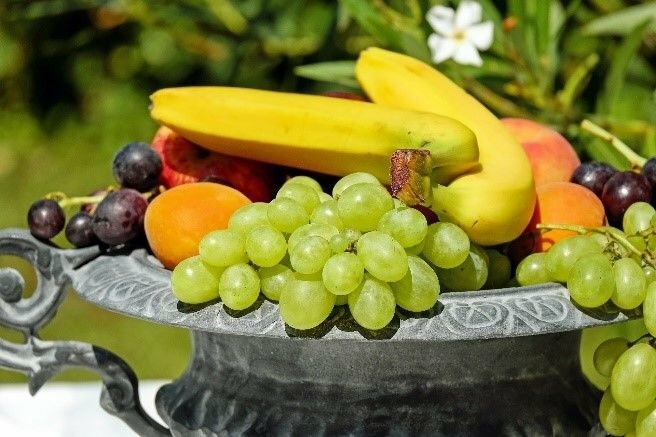 Insoluble fibre: this fibre does not dissolve in water. It is found in whole grain products and vegetables (make sure you eat the skins). Soluble fibre: when mixed with water this fibre forms a gel. It is found in beans, nuts, seeds, lentils, fruits (apples and citrus) and many vegetables. Foods rich in fibre digest much more slowly in the body and, as a result, the food stays in the stomach longer helping us to stay full. For this reason, fibre can help us manage our weight and reduce the need for snacking. Tip: Eat more wholegrain foods. E.g. replace white rice with brown rice. Dietary fibre plays a major role in adding bulk to our stool and softening it - this decreases the chance of becoming constipated. If you have the opposite problem, the fibre helps solidify the stool by absorbing excess water. So really, it’s a win-win! Tip: Try to replace juice with whole fruits or vegetables (with the peels). As foods rich in fibre slow down digestion, this means that the sugar in these foods will be absorbed at a slower rate. This will help prevent your blood glucose (sugar) levels from rising, and subsequently falling, too fast. When blood glucose levels fall too quickly it can make you feel hungry and lead to over eating. Tip: Add an extra vegetable to your favourite meals. You don’t always need to invent an entirely new dish just add it to your current favourites! 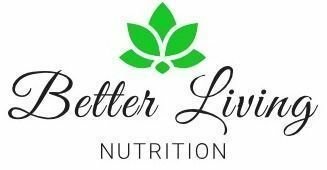 The soluble fibre found in foods such as beans, flaxseeds, oats and chia seeds can help lower your ‘bad’ cholesterol levels (low density lipo-protein). This, in turn, can help reduce the risk of heart disease. Tip: When you are hungry, try choosing a handful of nuts and seeds for your snack. Foods rich in fibre tend to also be rich in ‘prebiotics’. You may have heard of ‘probiotics’ which are the good bacterium that live in your gut. Prebiotics are the important fibres that feed the good bacteria and help it flourish. 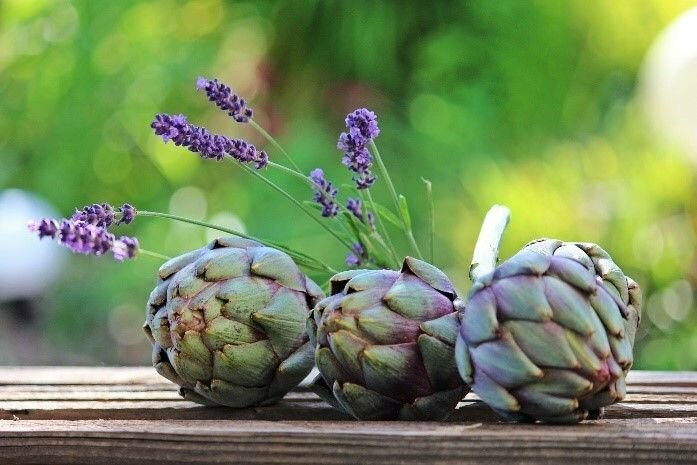 Some foods rich in prebiotics are artichokes, bananas, asparagus and beans. Tip: When cutting up fruit or vegetables for your meals try to include as much of it as you can (peels, stems and all).